Welcome to the home of the Alanson Hillside Gardens. 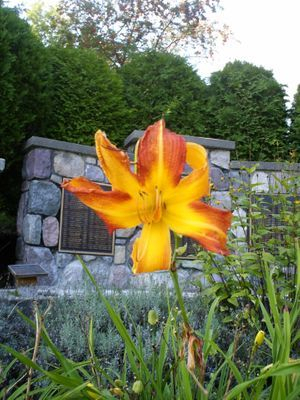 In 1979, a small group of volunteers got together and acquired the property now known as the Alanson Hillside Gardens. Since then, our group has planted and maintained the hillside gardens for the enjoyment of the residents of the Village of Alanson, and all who pass through our community. All money for maintaining the gardens come from the generous donations from members of the community. Thank you for supporting the Alanson Hillside Gardens. Visit us on Facebook at Alanson Beautification Center. Copyright 2019. Last updated March 26, 2019.